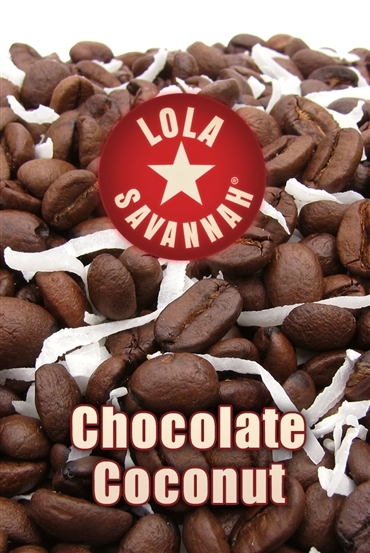 Chocolate Coconut flavored coffee, whole bean or ground, roasted fresh in Houston, Texas. 100% Arabica beans, lightly roasted and tossed in luxurious chocolate and coconut flavorings with real coconut flakes. Tastes like a candy bar melted in your cup.